Our chums at Fancyapint have put their heads together in the usual way to collectively agree a top ten of their favourite pubs visited in the last month. Responding to the charge they avoided South East London last month, they've gone as far as Sevenoaks this time, and well worth the trip by the sound of things. Voice your agreement, dissension, derision and enthusiasm in the comments, do. Bottoms up! Effectively, the Wenlock "over the water". Refreshingly unpretentious, a good honest, down-to-earth boozer. A welcome newcomer and an instant five-pinter. Mr Ustinov would have approved. An excellent all-rounder, with two great quizzes every week. A new lease of life for a pub that was on its last legs. A favourite with locals and HRH, apparently, and rightly so. If you don't know this pub, where an earth have you been? We sincerely hope that Brunning and Price open a few more like these down south. The best pub in Vauxhall? We think so. We agree, as it happens. 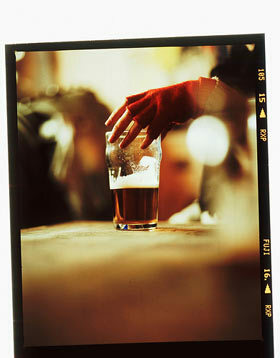 Find out more at www.fancyapint.com or browse past top tens.